As I stated in my last post, I was in Israel for a very short trip, but I wanted to get to Vitkin WInery to taste the new 2016 reds. Vitkin Winery was the first winery I visited and while I came with the entire group of guys to taste AK, AO, JK, OM, AD, and myself, things did not quite work out that way. Somewhere there was a miscommunication, and sadly there was no way to accommodate the guys. Sadly, Asaf Paz was not available, and while he made sure the tasting would happen, it was only me. I have written before about Vitkin last year, the second year after he made the winery kosher! Yes, as stated last during the 2015 vintage, Asaf believed that it was time to go kosher, so why not make it on a shmita year! They moved from 60K bottles in 2014 to 100K bottles in 2015 and on. The hope there is that expansion would be possible by moving kosher. Royal Wines is the USA importer for their wines from 2016 and on. The winery has grown from its early days in 2001 to now making 100,000 or so bottles of wine, and though it has space for more, it will stay there for now. We arrived during the crush for Grenache, so it was fun to see how the tanks are situated in the winery. They do not use pumps to move the wine must to the top tanks, but rather they use hydraulics to move the bins to the top of the tank and drop them into the tank. This makes sure that the fruit and it’s must is not crushed a second time, allowing for better wine. After the wine is finished fermenting, using gravity the grapes and the must are placed into the press and then the resulting wines are then dropped into the barrels. Tank to press to barrels all using gravity, with an assist from the hydraulics at the start. This is not a new scheme, it can be seen all over France, but it is nice to see it in Israel as well (Galil Mountain winery also does this along with others, but not many family-run boutique wineries show such care and concern). Vitkin has three main lines of wines; Israeli Journey, Vitkin, and Shorashim (the elite wines), and some dessert wines as well. The kosher line started in 2015 and so initially the whites and rose were the only available options. Of the wines, we tasted this year, the rose is in the Israeli Journey line, along with the white Israeli Journey. The other three whites; Riesling, Gewurztraminer, and Grenache Blanc are all in the Vitkin line, with the Grenache Blanc and The Gewurtztraminer adding the Collector’s Edition moniker. The current red wines that are kosher all fall into the Vitkin wine label, both the 2016/2017 Vitkin Israeli Journey, Red, along with the 2016/2017 Vitkin Pinot Noir, the 2016 Vitkin Cabernet Franc, the 2016 Vitkin Petite Sirah, old vines, Collector’s Edition, and the 2016 Vitkin Carignan, old vines, Collector’s Edition. Well, I just posted by Pinot Noir post, and as I have stated before, Grenache is the Pinot Noir of the Rhone Valley. 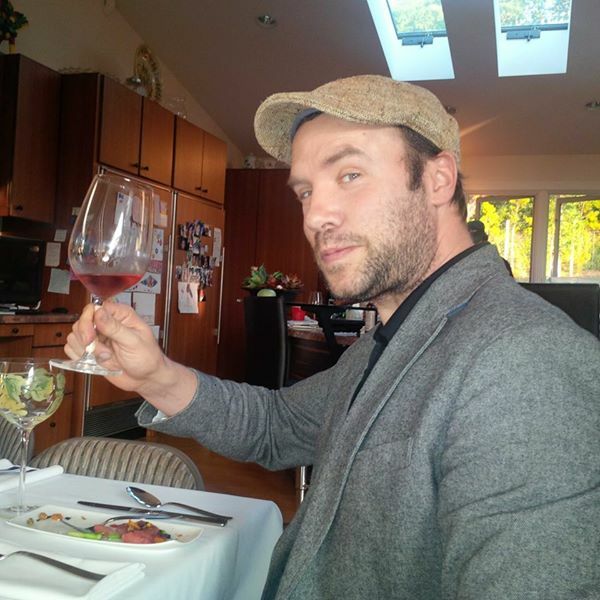 So, there we are – I hope we understand the dearth of options that exist in the kosher Pinot Noir landscape. With that in mind, I thought it was high time to have a Pinot Noir tasting, along with the fact that a guest who came to our house said he liked Pinot Noir and Grenache! In a way, it was the perfect wine combo! Grenache is called the “Pinot noir of the Rhone Valley” for its finicky growing style as well, so the combo was chosen. Vignobles David (The last Vignobles I had were not fun, I hope to taste them again soon) – he has many wines with Grenache in them, in varying degrees of percentages. Netofa Winery (they recently added Grenache to their famous SM wines). Yaacov Oryah Wines (he makes a Blanc de Noir from Grenache and a few GSM as well). Sadly, I have not tasted his new wines. I hope to be doing that soon. Vignobles David (The last Vignobles I had were not fun, I hope to taste them again soon and new ones as well) – he has a wine or two with Grenache Blanc in them, in varying degrees of percentages. Shirah Winery made a Vintage White in 2016 that was mostly Grenache Blanc, but this year, they went back to using Viognier as the major varietal in this white blend. As I have been posting so far, I enjoyed my last trip to Israel and Europe, and I am almost done with my Israeli winery posts. Last we left off, we had just had our second kosher wine tasting at DD’s house, and the first of the three wineries we visited on Friday – Domaine du Castel Winery. However before we get back to the other two wineries we visited on Friday, I wanted to post about the wines we enjoyed over the Shabbat that followed. I will leave the story for another day, but I can say that Jerusalem was smoking hot Friday and Shabbat (chamsin-like), but thankfully dry. I spat throughout the tastings on Friday, where we went to Tzora Winery, Flam Winery, and the afore-posted Castel Winery. However, some of the group were less careful about spitting and combine that with the searing heat that did not cool till almost midnight – and that made for a viscous 1-2 punch that slowed some folks at the dinner table on Shabbat. However, come Shabbat day all were active and wine was flowing like bonkers. I brought over two wines, as I was asked to drink and forget Israeli wines, please, which is all I could have access to! However, I was able to find the lovely 2016 La Vie Roubine rose and a total pass of a wine, the 2016 1848 White blend, flat and unimaginative, and the fantastic NV Yaacov Oryah Old musketeer, so I was 2 for 3, which is a very high batting average, but not a good wine present average. Though the NV Yaacov Oryah Old musketeer hopefully makes up for it. The walk to dinner was preceded by a quick davening in a Sephardic shul that brought back memories of my youth when I spend Shabbosim in Jerusalem. Old and young mingling and davening with their own expressions and intonations, but all still together in spirit and fervor, a real joy. Of course, the other great part is that there was no schlepping of any sort! Gotta love praying in Jerusalem! There was a class by some Rabbi, but I remember none of it, I think that is clear enough. As we made our way up to our host, the heat was receding a bit, but that is like saying it is easier to walk through torrential rain than a hail storm. It was tough, and it was straight uphill, a small fact that everyone felt free to not disclose to me ahead of time, very nice! To be fair I was not the one schlepping the 8 bottles of wine up that hill, those were strapped to the back of the “not so with us” participant, who courageously powered up the hill, weaving here and fro but upwards all the same! I had to stop once and when we arrived at our host’s home, I was literally blanched and unable to stand – the heat, the hike uphill, it took a toll on me and I must have drunk a gallon of water until I was human again. Finally, we were ready for kiddush, at least most of us, and that was done on grape juice! Like what! Grape juice! Then I realized – this may be the home of a Frenchman, but it is also home to a few kids who drink grape juice first and then wine. The smallest of the three drinks wine just fine, but the other two enjoy tasting it. The house itself is quite lovely and the fact that it is still standing, notwithstanding the three young terrorists that live within its walls, is a testimony to the building skills of the masons and builders of Jerusalem! As I stated in my last post, I landed in Israel and I had very few days to see a lot of wineries. Vitkin Winery was the first winery I visited and I finally got the chance to taste the entire kosher line. Asaf Paz, is the head winemaker there now, after spending so much time helping at Vitkin for years, he is finally at home in his family’s winery for good I hope. I have written before about Vitkin in passing last year when I tasted his 2015 wines, the first year he made the winery kosher! Yes, as stated last year, Asaf believed that it was time to go kosher, so why not make it on a shmita year! They moved from 60K bottles in 2014 to 100K bottles in 2015 and on. The hope there is that expansion would be possible by moving kosher. Royal Wines is the USA importer for their wines from 2016 and on. Vitkin has three main lines of wines; Israeli Journey, Vitkin, and Shorashim (the elite wines), and some dessert wines as well. The kosher line started in 2015 and so initially the whites and rose were the only available options. Of the wines, we tasted the rose is in the Israeli Journey line, along with the white Israeli Journey. The other three whites; Riesling, Gewurztraminer, and Grenache Blanc are all in the Vitkin line, sadly there was no 2016 Riesling. The 2016 Gewurztraminer and Grenache Blanc, have the added collector’s edition moniker on them. The current red wines that are kosher all fall into the Vitkin wine label, both the 2015 Vitkin Israeli Journey, Red and the 2016 Vitkin Israeli Journey, Red, along with the 2015 Vitkin Pinot Noir, 2015 Vitkin Cabernet Franc, 2015 Vitkin Petite Sirah, 2015 Vitkin Carignan. The 2015 Vitkin Grenache Noir is the only red with the collector’s edition moniker. Well, I have been off for too long, that is for sure. First Passover, then travels to Japan and more work. Finally home for a bit, Passover was great as it was enjoyed with family and that is what makes the holidays so great! I will keep this short and sweet – the wines were mostly good to great, except for one wine that I was really looking forward to tasting – sadly it was clearly not stored well. Other than the single disappointment – the rest of the wines were solid wines. I also had the opportunity to enjoy some wines with friends at EZ’s house, with BC and CG. It was a lovely evening and we enjoyed 6 wines – the best of which was the 2012 Domain Netofa Latour Red, followed by 2010 Hajdu Grenache, 2011 Netofa Red, the 2004 Chateau Montviel (which is in drink up mode at this point), and the 2011 Hajdu Grenache. Many thanks to EZ and his wife for hosting us so graciously. I found this wine to be showing better than the Hajdu PS, at least for now. Lovely blueberry jam and crazy black plum, with mounds of fresh vanilla, sweet cedar, with lovely floral notes, and sweet spices. Lovely full body wine with still searing tannin and lovely acid showing rich extraction and crazy spices with boysenberry and blackberry with rich sweet spices and elegance at the same time, along with ribbons of charcoal, and mineral. The finish is long and jammy, with rich leather, and mounds of mineral and black tea, with sweet tobacco, and sweet fruit lingering long. Drink by 2020. This wine was really a wine I was looking forward to tasting again, and it is either in a real funk, or it has taken a step back from its earlier stature. The wine opened quickly, it was not as closed as in the past, showing ripe blackberry, blueberry, and lovely dirt, and earth, with root beer galore and spice. The mouth on this full bodied wine is rich, but lacking the impressive extraction of old, with rich layers of blue and dark fruit, sweet oak, and tannin that does not let up. The finish is long with layers of dark fruit, leather, spice, Swiss mocha, boysenberry, and nice tart, and sweet fruit. This wine is on target, but lacking the complexity of old. Drink by 2021. Same as last time, deep, mineral, and attack that is almost hedonistic. This is the new vintage (which is now out of stock in most places). The way to know it is the most recent vintage is to check if the wine says extra dry – otherwise, it is a previous vintage and not as fun, the wine is mostly 2011 grapes. The nose on this bubbly is sick with lovely quince, apple cider, with straw and tart citrus. The mouth is full and an attack force of small mousse bubbles, followed by yeast and rich undertones, followed by layers of pear and madly refreshing with crazy acid and pith, and more bubbles that do not give up. The finish is long with dried fruit, nice dry mouthfeel, that flows into nice dried herb, and rich white tea. BRAVO!!!! Well, 2014 has come and gone and my top wines of the past year were too many to limit to 10. Now these wines comprise a list of wines I enjoyed over the year. Some were released in 2014 and many were released a long time ago. Either way these are wines that made an impression upon me and that is the only characteristic that I used to define this list. Some of these wines may not score a solid A, but they deserve to be here because of their trail blazing characteristics Take for instance – the 2012 Recanati Marselan. It is the only kosher Marselan and it is very good. The 2013 Yarden Sauvignon Blanc, one of the best whites to come out of Israel along with the 2012 Tzora Shoresh White, a wine that I believe is better than the 2013 Shoresh white, were both on my list last year, so they are not on it this year. The 2013 Tzora Shoresh is on this year’s list and if you have not gotten any – you are making a huge mistake. I had both in 2014, and even though I liked the 2012 a bit more, the 2013 is an epic white wine, in its own right. 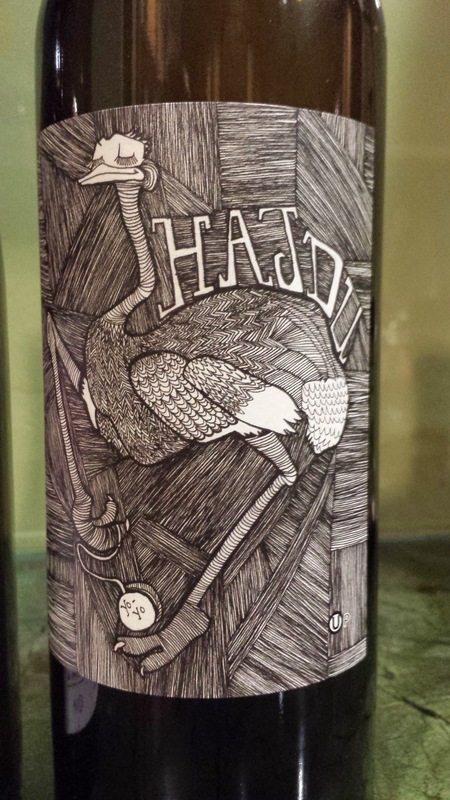 The best rose, hands down, was the 2013 Hajdu Pinot Gris rose. It is tied for best ever kosher rose with the 2012 Shirah rose, but that was already enjoyed in 2013. The next white wine was the epic 2013 Dalton Viognier, a wine that is worthy, once again, of the Dalton reserve label. It beats the 2012 hands down, and reclaims the title as the best kosher Viognier that is available in the US or Israel. There may be a French Viognier that is available there, but I do not know of them. The final non red wine was the 1996 Four Gates Chardonnay, which while never released officially, it was an awesome wine indeed! I tasted while tasting an entire vertical of all of Benyamin’s Chardonnay wines and this was the best of the bunch. Many others were solid A- and maybe a bit more wines, but the 1996 was a A- to A wine that was truly epic. The rest of the wines are red, and there are many special wines there including the fantastic 2012 Recanati wild Carignan and Syrah/Viognier wines. BRAVO! There were many more French wines, but they will have to fall till next year, when I get a chance to sit down and enjoy them over a long meal. The 2012 Chateau Giscours, the 2012 Pavillon de Leoville Poyferré, and the 2012 Roches de Yon Figeac are lovely wines and may well get on the list next year. In the end, California, France, and Spain continue to be my sweet spot. There are a few exceptional wines from Israel, like the epic and insane 2000 Yarden Katzrin and others. Along with current releases from Tzora Winery, Recanati Winery, and Yatir Winery. In the end, Israel will improve by having 2009, 2010, and 2011 in their rear view mirror, all the while enjoying the new 2012, 2013, and from what I hear 2014 vintages. Before I talk about this epic wine, I must sadly say that one of the wines that was on my list last year – the 2012 Capcanes Carignan – never made it into its own bottle. Sadly, it was not deemed worthy of a leading role. Thankfully, it found its place here, in this fantastic 2012 Peraj Habib! The wine blend for 2012 is not far off from 2011, consisting of 40% Grenache, 30% Carignan, and 30% Cabernet Sauvignon, sourced from very old vines. Over the Holiday of Shavuot, and weeks that followed, I have been continuing my love for all things Rhone, meaning Syrah, Grenache, Mourvedre, and things like Petite Sirah and others. Over Shavuot we had one half of the Weiss Brothers with us, and it was a great time to break out my last bottle 2007 Brobdingnagian Grenache! We had a few other bottles as well, of course, but that was the winner of the night for sure. Many of the wines we have had over the past few weeks are still available now, while some are those MUST keep wines that I hope you all start to build from great 2009/2010/2012 wines (yeah 2011 was a tough one). Over Shavuot we served rib eye and some brisket, and it went so well with the sweet Syrah and bold wines that we enjoyed. I hope you all enjoyed the Shavuot time with wine, learning, and friends! Over the following weeks after that we opened Summer wines, many were rose and white, which I will post separately, and many were perfect BBQ wines, like the 2011 Chabad Cuvee Zinfandel. Along with the 2011 Netofa Red made of 60% Syrah and 40% Mourvedre. We truly enjoyed the 2012 Landsman Syrah, which is good news, as some of the other Landsman have been OK but not as good as this one. We also enjoyed a few lovely Israeli blend wines, with a mixture of Cabernet, Syrah, and other varietals. Like the 2009 Kitron Reserve LIKA, a wine named after one of his children. The wine is a blend of Cabernet Sauvignon, Shiraz, and Merlot. The Tzora Shoresh was awesome, and the 2011 Trio was nice, but not great. I hear the 2012 Trio Grenache, a wine only available in Israel, is really impressive, look for that when in Israel next time. Finally, the 2012 Capcanes Peraj Petita continues to blow me away, and the mevushal version of it is also very good and is actually more accessible now than the non mevushal version, which feels too tight still. The name comes from the colossal, gigantic, extremely tall, and giant creatures discovered by Gulliver in his travels on the Northwest coast of California and is used today (although not by anyone I know) to describe anything of colossal size. That said, the wine does in many ways follow the moniker. The wine has a 16.3% alcohol, is massive in the mouth, and in the bottle! The bottle (empty) is one of the heaviest I have ever seen, quite extreme. The name of the winery, though unpronounceable by me, is one you already know by association. The wine is made by Jonathan Hajdu, the associate wine maker for Covenant Wines, owned and operated by Jeff Morgan. The last time we opened this wine, the wine was inaccessible for many hours. However, this time the wine was immediately accessible with concentrated dried red fruit, raspberry, toast, smokey aromas, roasted animal, sweet cedar, insane and mad milk chocolate, and spice. The mouth on this browning colored wine is super concentrated, almost laser focused, and layered with dried strawberry, cranberry, raspberry, blueberry, root beer, and plum. The attack is what makes this wine; it is clean lined with heft and power, yet focused on delivering not a single but many blows of dried fruit and oak. The mid palate flows from the mouth with acidity to balance the beast, along with still searing tannins, cedar oak, and tobacco. The finish is super long and concentrated with more mouth coating tannin, sweet herb, licorice, white pepper, cloves, lovely acidity, sweet watermelon, and more spice – BRAVO!!!! This wine has a year or so left – but I would start drinking them now for another year – drink UP mode. If you follow my blog at all, you will find references to Brobdignagian, Brobdingnagian, and Hajdu all over – go ahead and search! Anyway, with the number of times that I have been writing about Hajdu, and Covenant (where he is associate winemaker), I realized it was due time to talk about one of California’s best and still hidden kosher wineries. I met Jonathan quite a few years back, but even before that I “met” him through the Weiss Brothers (AKA Shirah Winery) and Benyamin (Four Gates Winery). Hajdu is one of those consummate winemakers that has continuously, through the years, shown his mettle and amazing palate. However, before we get ahead of ourselves we need to step back and weave in the background story of Hajdu. Hajdu fell into the world of wine when he was studying archeology at University at Albany-SUNY in NY. It was there, when bored with studies of things buried deep in the ground, dating back thousands of years ago, that he found the wonderful elixir called wine in local area wine bars. This was in the late 1990s, and I find it amazing that wine bars existed in a college town so many years ago! Well soon after school, Hajdu went to study in Yeshiva in Israel, and it was there that he met a woman, and followed her to Melbourne Australia, which turned out to be a great place to study viticulture at the Swinburne University, and to work on a few vineyards in the Yarra Valley. Things did not work out on the dating front, so Hajdu returned to New York, and one thing led to another and a friend told him about a job at Copain Custom Crush Llc in 2003. It was a great job for so many reasons, the main one being that there Hajdu honed his winemaking skills, till now he was a viticulturist, and he learned the skill of working on many small lots and crushes inside a very large wine facility, something that would come in very handy in the coming years at Covenant, but again we are getting ahead of the story. In late 2003 Herzog was in need of more skilled hands, so Hajdu signed on – and it was at this point that one has to see the hand of God here. First of all, it was here that the Shirah/Weiss boys would eventually meet up with Hajdu, along with Jack Levin, who was part of the initial Shirah creations. This group (Levin was not yet there in 2005) was the group that created the first Shirah wine – 2005 Shirah Syrah with fruit from Alamo Creek. For the next two years they worked together at Herzog and it was that time, in my opinion, that the desire and yearn to build great wines from both Shirah and Hajdu was created. While, Hajdu was at Herzog winery another very important coincidence occurred, it was there that Hajdu met Jeff Morgan, co-owner and winemaker of Covenant Winery. At that time, Covenant was making their 2003 through 2006 vintages in Herzog’s winery in Santa Maria, CA where the winery existed before it moved to Oxnard. It was then that Hajdu worked with Jeff on the 2003, 2004 vintages of Covenant wines in Santa Maria (where Herzog was before Oxnard) and then 2005 in Oxnard as well.